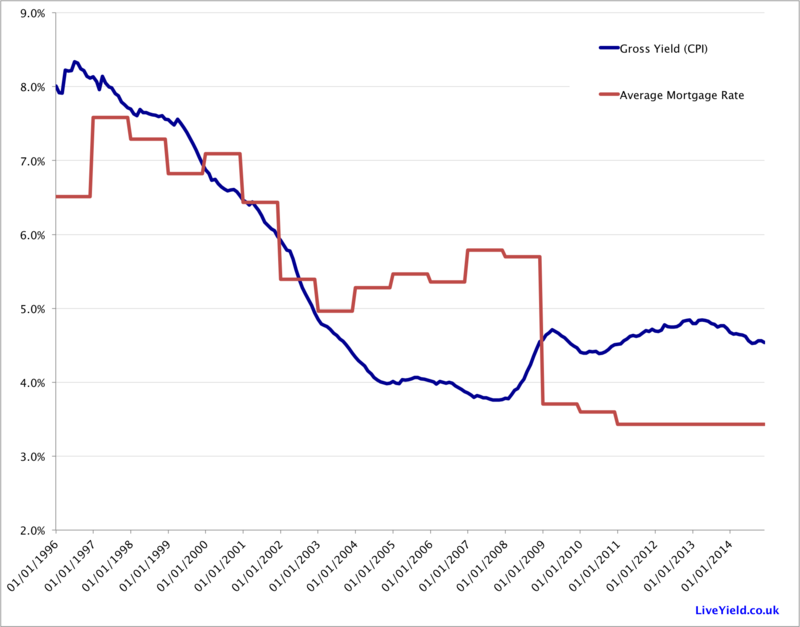 This chart shows that the buy-to-let sector offers better value now than at any time between 2000-2008 for mortgaged backed acquisitions. The above analysis shows that recent changes to stamp duty has a negligible effect on investment return. We appreciate that as the price of the property increases the yield drops , so reflect a higher yield on lower value properties. Please see the example table below. 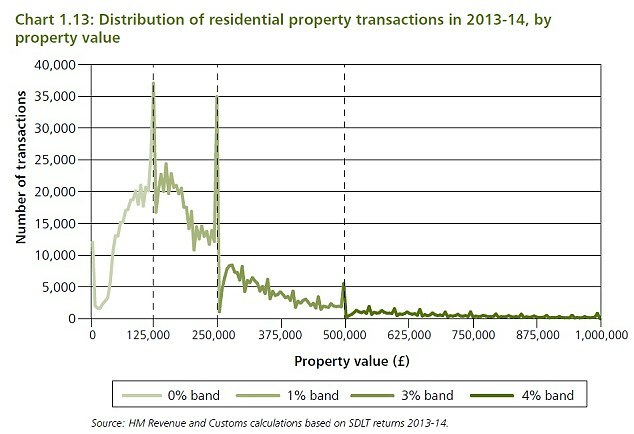 The above chart shows how sales are grouped around the old stamp duty regime bands. These changes should increase liquidity in areas that have higher proportion of properties in the £250,000-275,000 bracket. 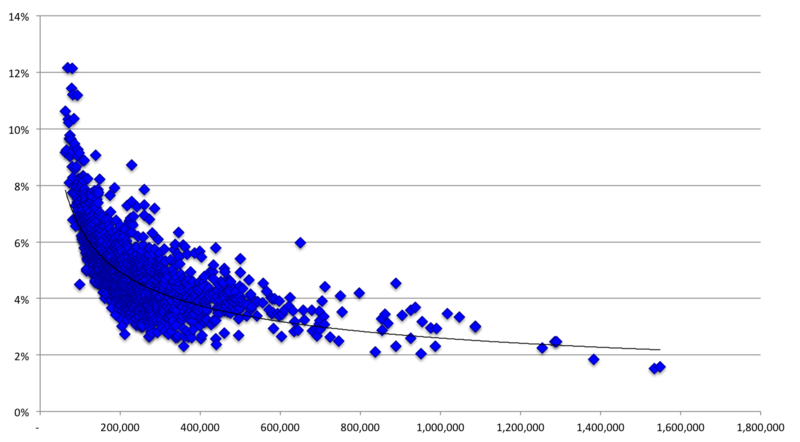 Due to the distribution of property prices this stamp duty change actually reduces potential revenue to the treasury . 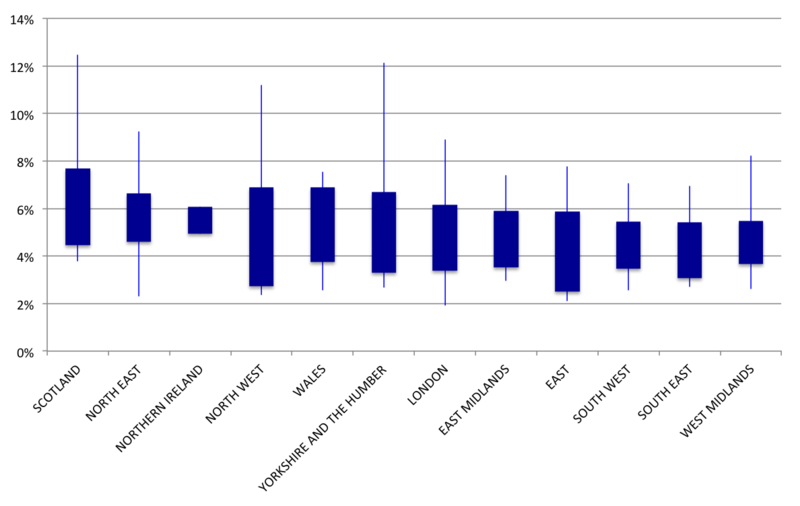 The chart shows the range of residential rental yields at a district and post code level. It shows that averages can hide a lot of variance and supports the premise that property investment strategy can be structured at a macro level, but must be executed on a micro (local) basis. It is worth noting that a low yield regions such as London still contain postcodes with a high income return which can be a signal of undervalued property. 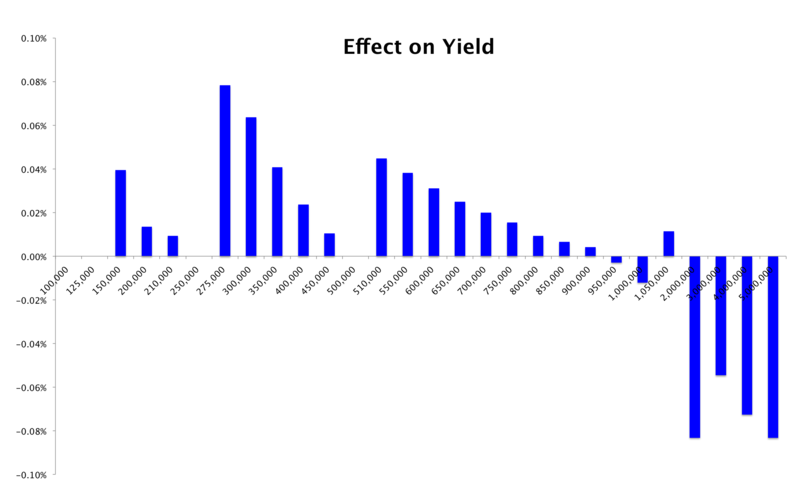 It is also sensible to pay attention to regions with the highest variance in yields at a local level. Applying this logic Scotland, the North West of England and Yorkshire and the Humber are likely to provide some areas worth investigating. 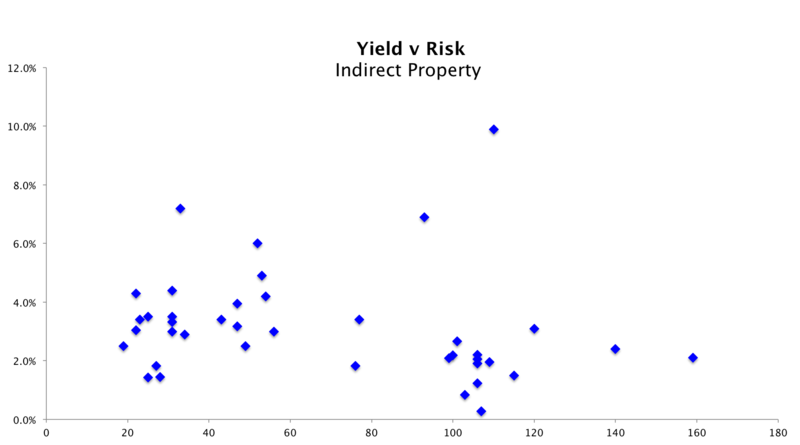 A simple scatter graph illustrates the relationship between yield and price at a post code level. It shows that lower value properties tend to be higher yielding, suggesting that buy-to-let investors should consider searching for lower valued property in a specific location to maximise income return. Any investment strategy should however also consider how intensive this maybe from a property management perspective.